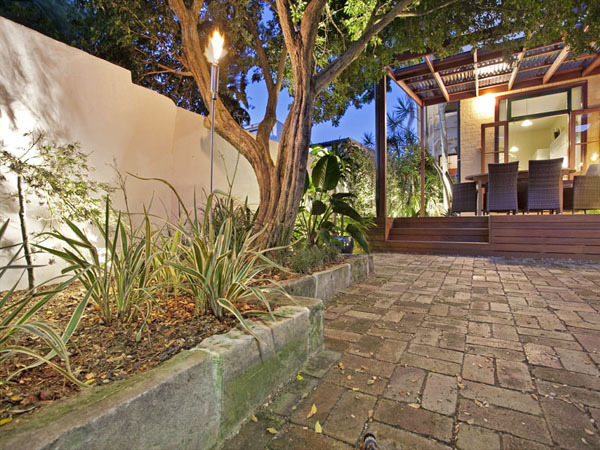 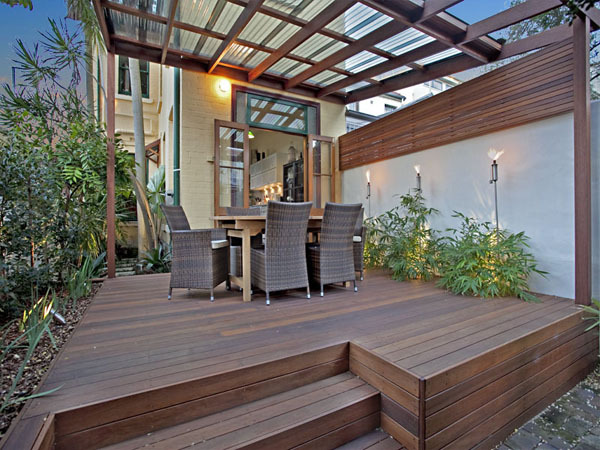 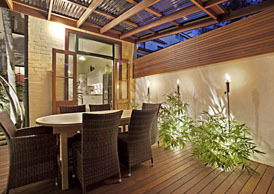 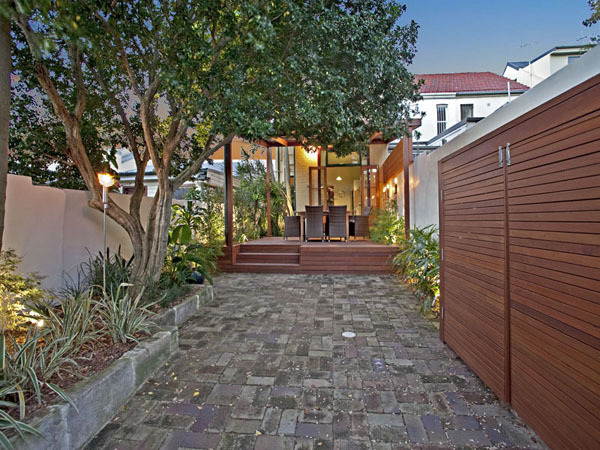 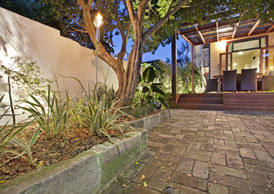 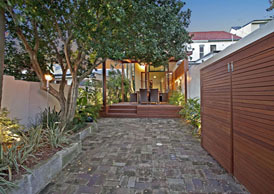 This Camperdown garden required a major overhaul with a pretty tricky brief to boot. 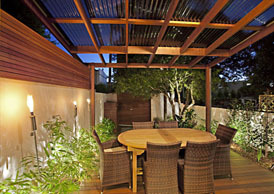 The main requirements were to create an additional dining area for the house and to supply that all important car space. 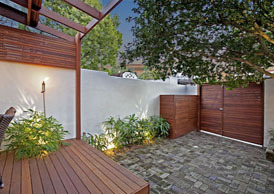 The key was to make it look like it was a garden and not a car park. 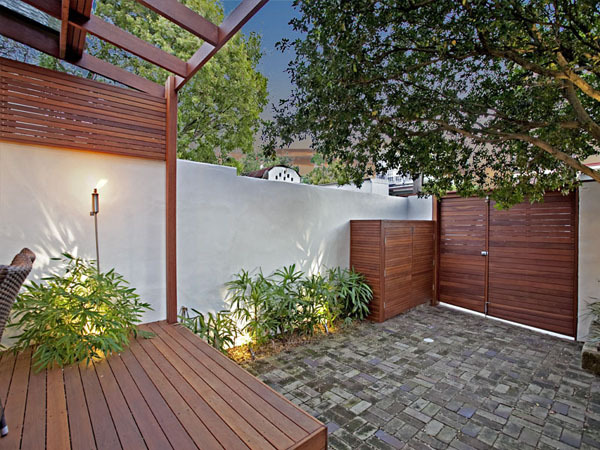 We were lucky to inherit the existing reclaimed bricks and sandstone blocks to re-use as they provide much character and quality. 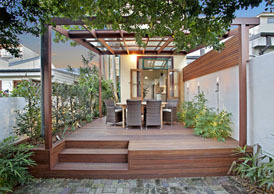 To compliment these we used a quality hardwood to extend the house effectively into the garden. 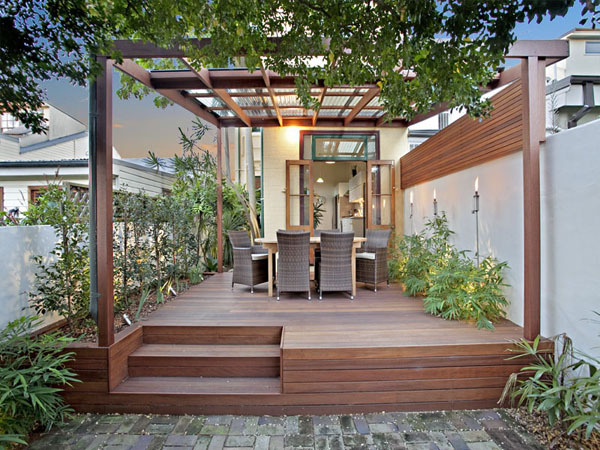 The covered pergola shows you can have a beautiful structure without having to spend the earth. It is all about creating harmony within the space. The same hardwood was uses in the screen, bin store and rear gates. 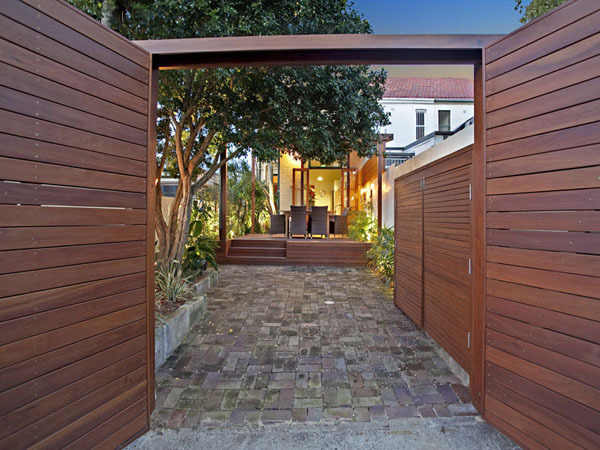 These gates are double hinged with a separate pedestrian opening. 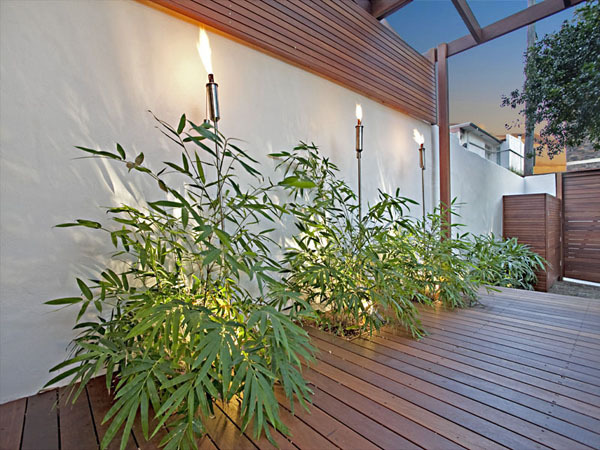 The walls were given a fresh lick of paint to lighten the area and contrast with the hardwood. Lighting and a tropical planting scheme were installed to really create that hidden Oasis.